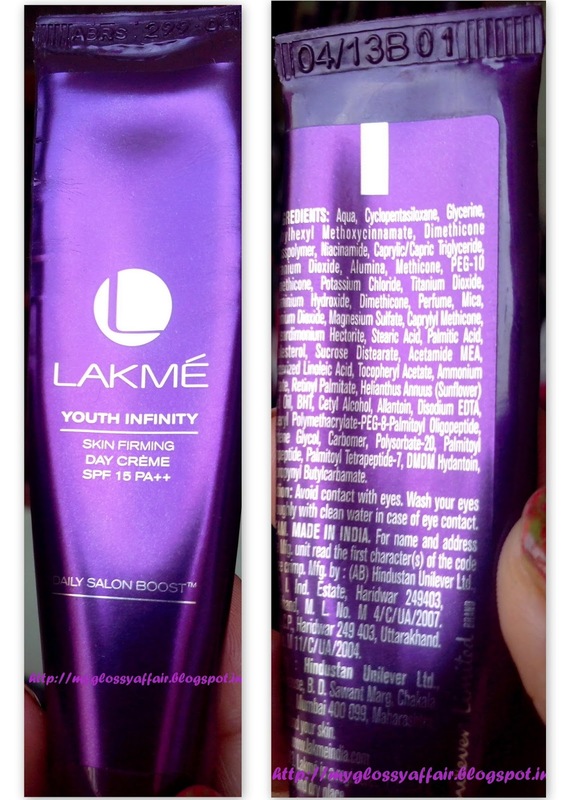 Today, I am going to review a day cream from this skin care range from Lakme names as Youth Infinity Range. 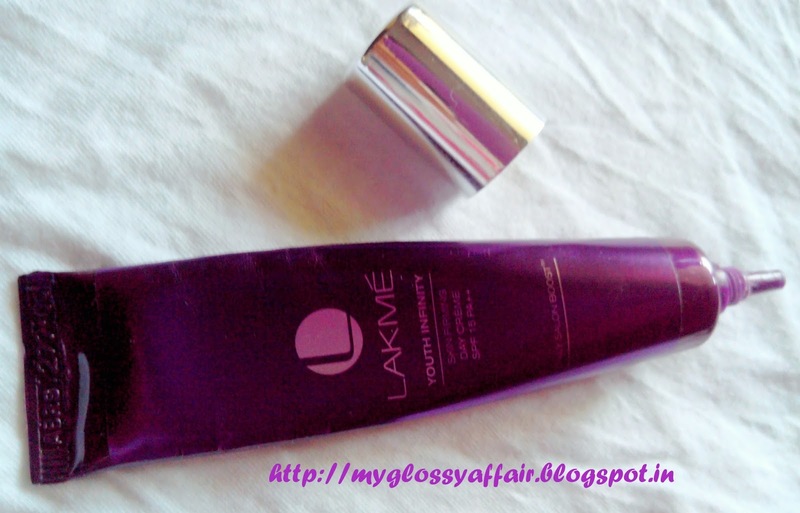 This time, I have got a day cream from the range named as Lakme Youth Infinity Skin Firming Day Cream. This unique skin firming Day Creme with Insta Collagen BoostersTM improves elasticity to tighten skin. It enhances moisture content of skin with every application, SPF 15 PA++ protects skin from UVA/UVB Luminising pearls instantly brightens skin tone.The power of Peptides stimulates collagen production, CLA enhances skin cells, Retinol & Retinol boosters stimulates & boosts collagen production, AHAs gently exfoliates dead skin cells, Glycerin restores & enhances moisture, making the skin firm & Niacinamide lightens skin and gives you the perfect sculpted look. Collagen is a dermal protein responsible for maintaining structure of tissues. 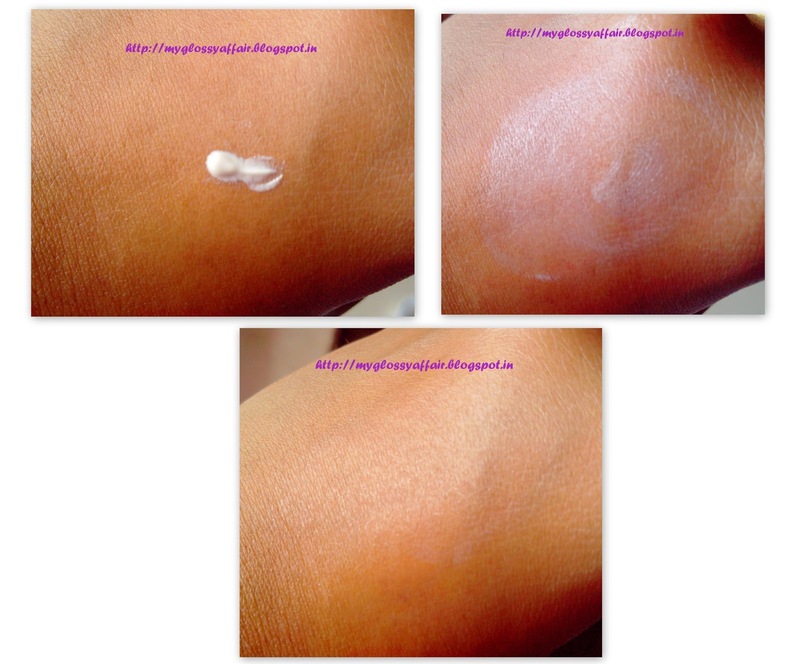 Oilgo peptides and Tetrapeptide 7 help in stimulation of collagen production, making skin tight. Aqua,Cyclopentasiloxane, Glycerine, ethylhexyl methoxycinnamate, dimethicone crosspolymer, niacinamide, caprylic/capric triglyceride, titanium dioxide, alumina, methicone, peg 10 -dimethicone, potassium chloride, titanium dioxide, aluminium hydroxide, dimethicone, perfume, mica, titanium dioxide, magnesium sulfate, caprylyl methicone, disteardimonium hectorite, stearic acid, palmitic acid, cholesterol, sucrose distearate, acetamide MEA, isomerized linoleic acid, tocopheryl acetate, ammonium lactate, retinyl palmitate, Helianthus annuus(sunflower) seed oil, BHT, cetyl alcohol, allantoin, disodium EDTA, glyceryl polymethacrylate-peg-8-palmitoyl oligopeptide, butylene glycol, carbomer, polysorbate-20, palmitoyl oligopeptide, palmitoyl tetrapeptide-7, DMDM hydantoin, iodopropynyl butylcarbamate. Now, oil is one thing, let’s come to the claims as given by this product. This provides moisturization and is a good option for those who have ultra dry skin texture and it will also suit dry and normal skin types in winters too. For breakouts, yes it caused me breakouts. It does nothing to improve skin texture or skin firming as claimed. It doesn’t lighten skin tone and doesn’t even tone the skin. It has many good ingredients as claimed by Lakme and may be it is working perfectly for some but not for me. The good part about this cream is that it has SPF 15 with PA++. Actually, I wanted this to work for somebody, so I gave this to my sissy who has normal/ combi skin. She tried it out daily for let’s say 15 days but no effect. In fact, she also felt it is too greasy and oily and is not suiting her at all. It didn’t do much to tightening or lightening claims either. 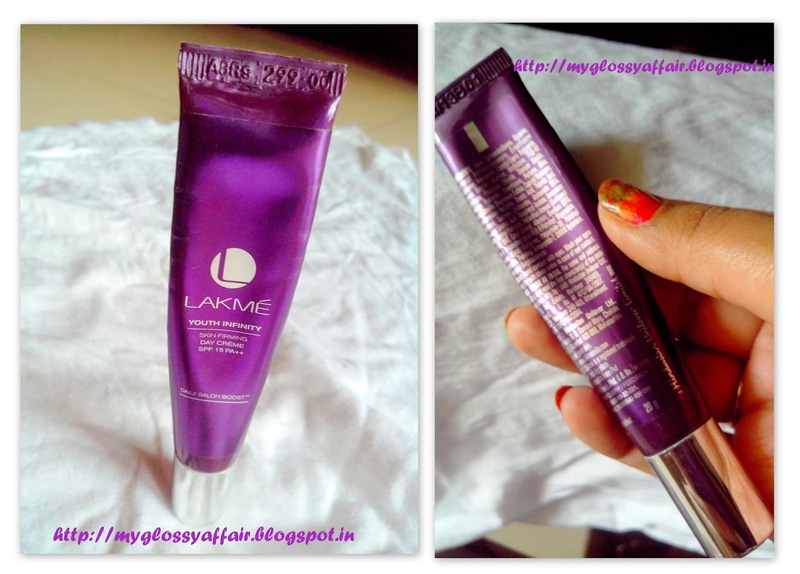 So, all in all, I do not find this day cream from Lakme any beneficial and according to me, it doesn’t justify the cost it comes at. I don’t recommend it for my skin type and won’t repurchase it. It moisturizes and provides hydration. Gives subtle glow but becomes greasy afterwards. Doesn’t live upto its claims. Not at all suitable for oily skin. May not suit normal/ combi skin too. Starts becoming greasy after say 20 mins of application. Too expensive at the quality offered. 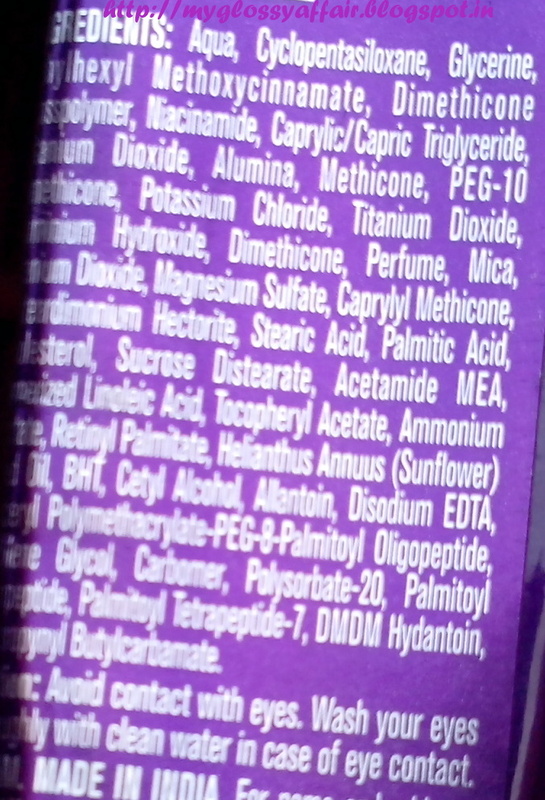 Active ingredients don’t seem to work effectively.